I don’t know how many times I’ve gone to a restaurant with someone who answers “Just water” when the server asks what they would like to drink. For some inexplicable reason I am always strangely disappointed when I hear this reply. Is it my Irish-German ancestry haunted by ghosts of the temperance movement? I honestly don’t know but I am fascinated with the question of why that glass of water is plunked down first thing in American restaurants. Carbonated soda water and mineral water were available in early 19th century American cafes, as was ice for beverages. But the first mention I’ve found of water served free with a meal occurs in the 1840s, which happens to be the decade that NYC’s and Boston’s public water supply began. In the late 1840s a newspaper reporter reflected on cheap restaurants where patrons could enjoy “pumpkin pie at four cents the quarter-section, with a cup of Croton, fresh from the hydrant, gratis,” referring to the Croton Reservoir from which water flowed into NYC beginning in 1842. It is also a decade when the temperance movement geared up, praising cold water as the most moral beverage and the only one drunk in Heaven. The teetotaling followers of food reformer Sylvester Graham found cold water the sole drink consistent with “nature’s bill of fare.” The mission of temperance advocates was to make pure water widely available in hopes they could lure drinkers away from the hard stuff. The battle continued at the Centennial Exposition of 1876. After failing to prevent the sale of beer and wine at the fair’s European-style restaurants, temperance groups installed a free ice-water fountain. Restaurants run by new Americans did not immediately fall into line. 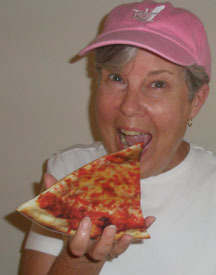 Italians, for instance, preferred wine as their basic beverage. 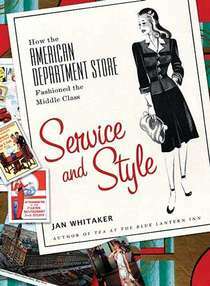 A Boston diner in 1906 was impressed with how totally different it was to eat in an Italian restaurant as compared to a typical wineless Yankee lunch room where the staples were baked beans, pie, doughnuts, cookies, cake, gingerbread, tea, toast, and boiled dinners — all washed down with ice water. 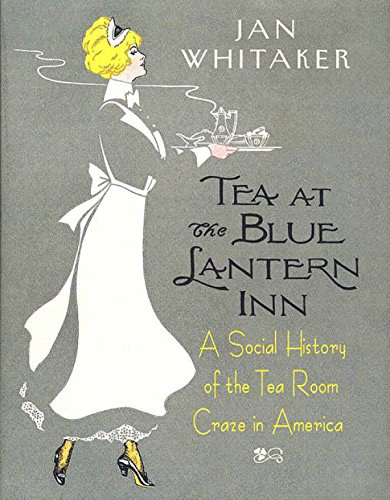 Although the custom of providing water was likely firmly established during Prohibition, even before that water service gradually lost its temperance overtones and became standard operating procedure in restaurants. 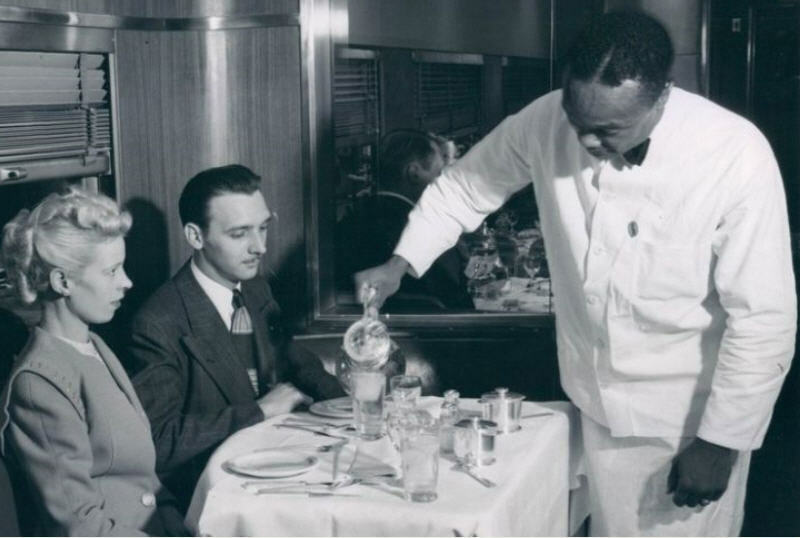 A waitress in 1907 learned the first day of work that as soon as she took an order she was to give the patron water as a signal to the head waitress that the order had been taken. A 1908 manual instructed waiters to “serve water first” and the bread and butter set-up later. Americans don’t always drink the water provided in restaurants, but they expect it to be there. In 1930 patrons of luncheonettes coast to coast were dismayed by burnt toast, dirty menus, and failure to serve water unless requested. A National Restaurant Association survey in 1978 found that customers did not like to ask for water and almost 75% of them were annoyed if there was no water on their table. To ice and water the glass or stuff it with a napkin?? I have a question for anyone. Have been searching for info about a NYC restaurant from the 1950s, with no success. Not sure of the spelling but I’ve tried variations on the names and spellings: Tiff’n Eddie’s or Tuff ‘n Eddy’s. It was where people went, in Manhattan, to celebrate a special occasion like an anniversary. Thanks in advance for the help. TOFFENITTI’S WAS IN TIMES SQUARE IN ABOUT 1940. MY FIRST DINNER DATE WHILE HIGH SCHOOL, PROBABLY 1948-9, WAS A TOFFENETTI’S. I DON’T REMEMBER THE BILL OF FARE OR WHAT WE ATE BUT I WAS DAZZLED. MY DATE LATER ON DANCED AT THE COPA, WHICH ACTUALLY HAD AT ONE TIME RATHER GOOD CHINESE FOOD. I am a Boston-born ex-pat now living in London, where it is still difficult to get a glass of tap water in most restaurants. I can only speak for London, but my requests for tap water here have usually been met with perturbed eye-rolling. This most likely stems from one of the following 2 reasons: first, the typical British server is generally too lazy to make the trip to the tap. Why exert the energy to go fill up four glasses of water when you could just stand there ignoring diners and thinking of your upcoming cigarette break. You’re not going to get much of a tip (tipping isn’t done here like it is in the US) so why make the effort? Second, the British mentality is that nothing is ever free, so the concept of free water, when you could easily buy a 6 pound single serving bottle of designer water, baffles most servers. This is a land where you pay 20p extra for milk in your coffee, where they charge 40p per letter to write “Happy Birthday” on a birthday cake. As for ice water, forget it! 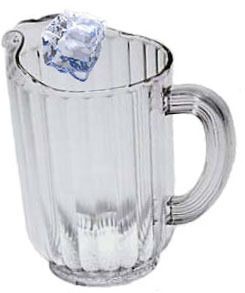 Apparently, the Brits don’t have the recipe for ice. They are always cold, even in the summertime, so ice would just make matters worse. I’ve always wondered about this custom. It’s even been mentioned in fiction, when a European character visits America! I dine out occasionally, but the automatic serving of water tends to vary (but on what grounds, I don’t know!). I have often wondered why water is served when you visit restaurants. I had no idea that the practice was related to the Temperance Movement/Prohibition Era. I just thought that the restaurant owners expected their customers to be thirsty. Of course, the days of water being plunked down without asking seem to be mostly long over now. Wasn’t it a White House-sponsored conservation movement in the late 1970s (Carter era) that pushed restaurants to not provide water unless the patron said they wanted it when asked? Although I was just a kid, I definitely remember the media buzz and then the transition in the late 70s/early 80s, and today I am almost never served water without specifically asking for it. It may depend on where you live whether you are served water automatically. We are well watered here in Western Massachusetts. And, yes, it was the 70s when water conservation came along (thus the survey I mentioned) but I don’t think it “took” everywhere. 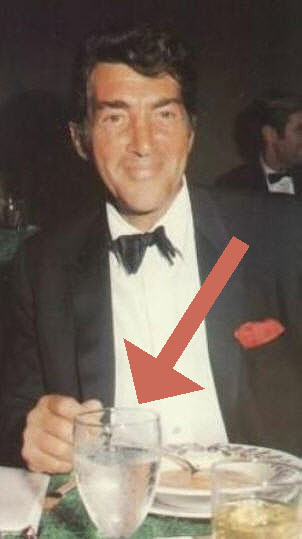 Dean Martin with a glass of water!? That must have been the only time!